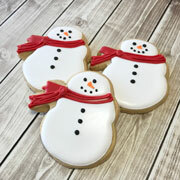 This adorable 3 1/2" Snowman Cookie Cutter with Scarf is a lovely modern take on the lovable snowman. 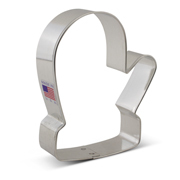 Use this versatile Cookie Cutter to make Christmas Cookies or for the visionary Cookier turn this cutter to use it as a cutout for pumpkins or a flower pot. This Snowman Cutter is also great for cutting fondant, Christmas decorating or winter crafts. Made in the USA. Cookies decorated by Dany's Cakes. Size: 4" x 2 1/4"
Graduate of Carnegie Mellon U in art and can really appreciate the great linear design of Ann Clark Cutters. 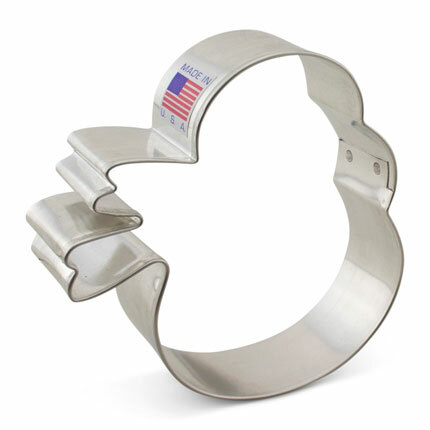 Recently trained as pastry chef and can say unequivocally that these cutters work and last forever. I love Ann Clark cookie cutters. I have purchased over 100. Great selection and quality.